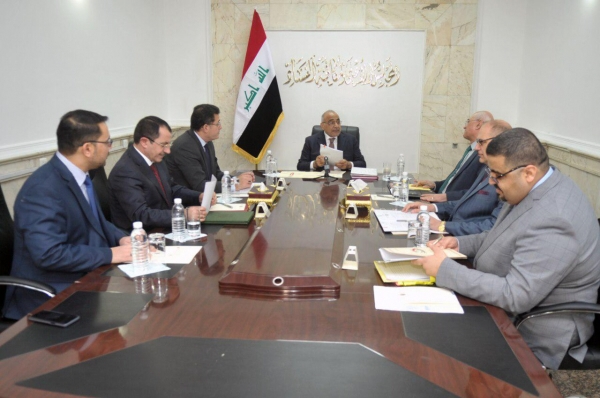 Prime Minister Adel Abdul Mahdi, during his chairmanship of the second meeting of the Supreme Council for Combating Corruption at its new headquarters in the Iraqi Supreme Criminal Court, said Wednesday that all corruption will be targeted. "We applaud the efforts of the Financial Control Bureau to issue its latest report, which showed significant differences in the disbursement of pensions, which confirms the positive role of regulatory institutions and the need to support them," Abdul Mahdi said in a statement received by Mawazine News after the meeting. Will be targeted. " He added that "the role of the Council is the process of high-level coordination among the regulatory bodies as a whole and focus their efforts in one direction," pointing out that "the goal of the restructuring of the Supreme Council to combat corruption is to enable him to take deterrent measures and work to provide support Financial and security and legislative process to combat corruption and accelerate. "